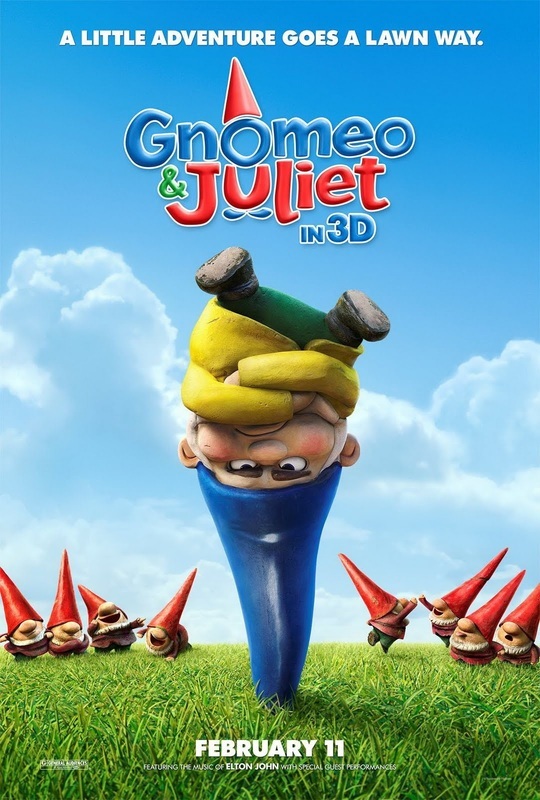 Plot Summary: Take out the trash, eat your broccoli—who needs moms, anyway? Nine-year-old Milo (Seth Green) finds out just how much he needs his mom (Joan Cusack) when she's nabbed by Martians who plan to steal her mom-ness for their own young. 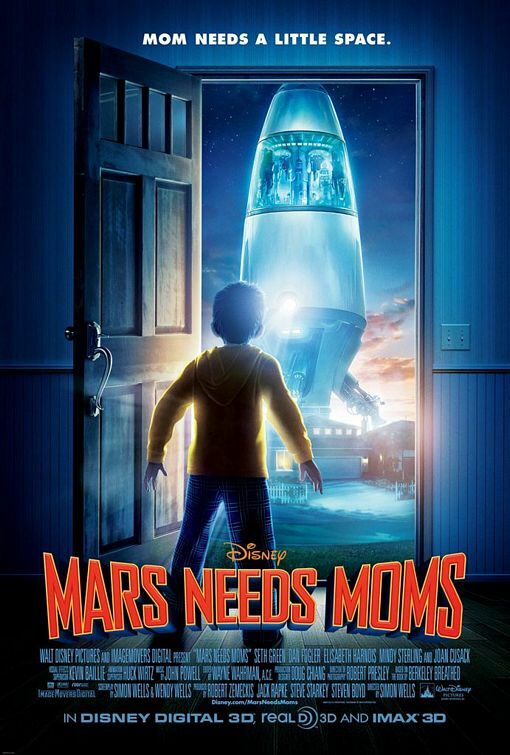 Produced by the team behind "Disney's A Christmas Carol" and "The Polar Express," "Mars Needs Moms" showcases Milo's quest to save his mom—a wild adventure in Disney Digital 3D™ and IMAX® 3D that involves stowing away on a spaceship, navigating an elaborate, multi-level planet and taking on the alien nation and their leader (Mindy Sterling). With the help of a tech-savvy, underground earthman named Gribble (Dan Fogler) and a rebel Martian girl called Ki (Elisabeth Harnois), Milo just might find his way back to his mom—in more ways than one. 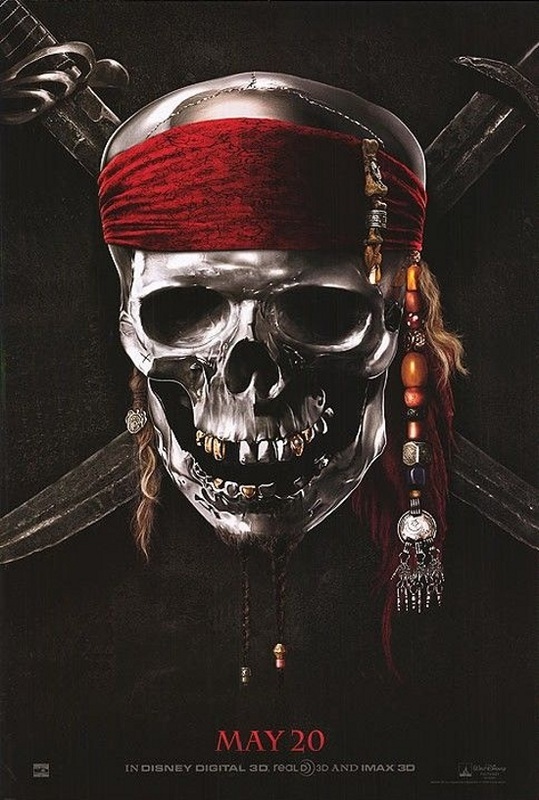 Based on the Book by Berkeley Breathed. 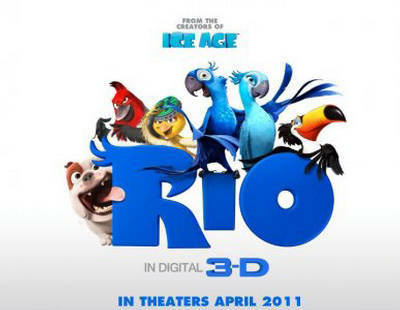 Plot: 'Rio' is a 3-D animation feature from the makers of the 'Ice Age' films. Set in the magnificent city of Rio de Janeiro and the lush rainforest of Brazil, the comedy-adventure centers on Blu, a rare macaw who thinks he is the last of his kind.